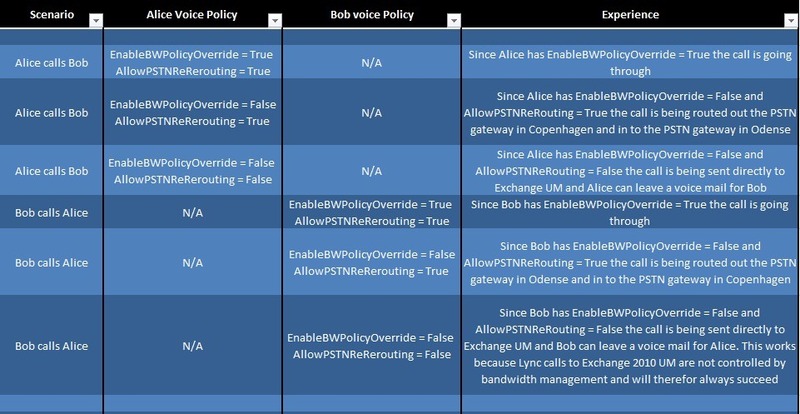 Learn why we should collocate or not collocate Mediation Servers onto Front End Servers in Microsoft Lync Server 2010.
via Lync 2010 Collocated Mediation Server vs. Dedicated Mediation Server. As always, a perfectly written and extremely valuable post by the MVP Jeff Schertz , such great posts put a wide smile on my face 🙂 Great work Jeff. As discussed in a past article the Address Book Normalization process of OCS is a barely-documented and often misunderstood process. 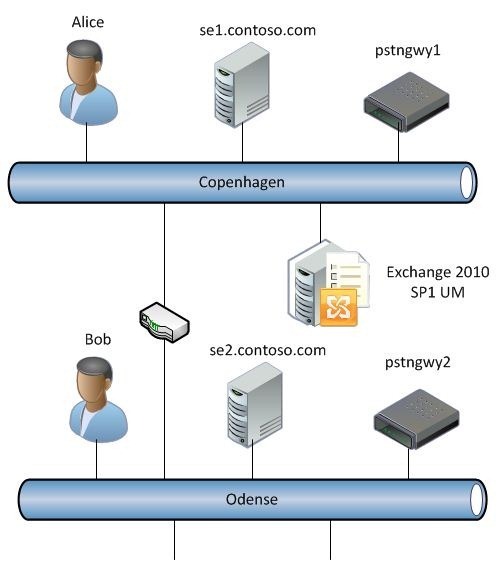 The objective of this blog article is to explain how this process works now in Lync Server 2010. Overall the process is generally the same, but with a few minor changes that impact both how it is configured and how normalization functions. Firstly, just as in previous versions of the client any telephone numbers stored in Active Directory phone attributes directly in RFC3966 complaint formats (+E.164) will be displayed by the Lync Client. The number will appear both on the contact call menu and the contact card details. For example the pattern +13125557501 is populated on the following AD user account and appears in Lync. Secondly, following the same basic principals of previous versions the Lync client will also not display any phone numbers on contacts which fail to normalize into a +E.164 pattern. For example the pattern (312) 555-7505 is populated on the following AD user account and does not appear in Lync. In order to display number formats in the second example Lync Server will need to be manually configured to properly normalize these numbers. As a general best practice the format should be pretty uniform among all AD users and contacts but if they are not then multiple rules can be added to match and normalize various numbering formats. From the Lync Server Management Shell execute the cmdlet Get-CsAddressBookConfiguration and note that theUseNormalizationRules value should already be set to True. But this setting in and of itself does nothing yet as the normalization file needs to be configured first. Just as with OCS the Address Book does not leverage any Enterprise Voice normalization patterns which may have been created to support EV calling. Note that if the value is set to ‘False’ (Set-CsAddressBook –UseNormalizationRules $false) then even numbers already entered in +E.164 format will not appear in the Lync client. Create a new text file named Company_Phone_Number_Normalization_Rules.txt in the ABFiles directory. This normalization rules file must be stored in this location and not down a few directories where the actual address book files are stored as it was in OCS. Up until this point anyone familiar with Office Communications Server should recognize that everything is about the same, other than the required location of the normalization text file. An improvement in Lync Server’s address book normalization process is instantly noticeable when looking at the simplicity of the example pattern above. In the past long, complicated regular expressions (regex) were required to filter-out any non-digit information which could be potentially stored in the telephone field. But now Lync Server automatically ignores non-telephony related digits in the strings and only looks at the continuous 0-9 numerical digits (and also recognizes the + symbol). So there is no longer a need to include regex code like [\s()\-\./]* in patterns to ignore spaces, parenthesis, dashes, etc. Execute Update-CsAddressBook to import the new settings configured in the text file and apply them to numbers stored in the address book files. After 5 minutes have elapsed force an address book update on the Lync client as described in this previous article. At this point the contacts previously not displaying phone number information should now be working.